1 Million for Work Flexibility has more than 100 organizations on board to date as part of our coalition—and counting. We’re pleased to share more information about our supporter Badger Maps in this Q&A. Some companies find success by taking an existing product or service and making it better. Others invent something completely new. Badger Maps definitely fits in the latter category. 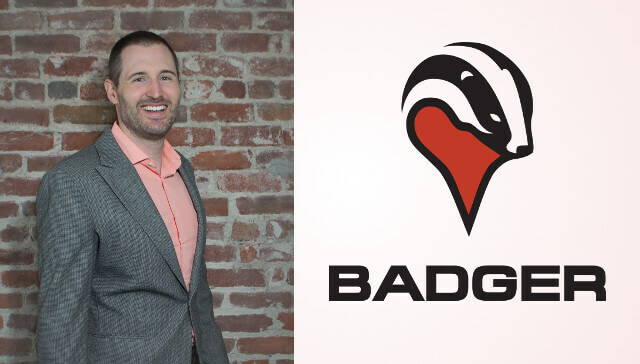 Steven Benson started Badger in 2011 to solve a problem faced by outside salespeople. These field sales reps had to work with many different tools to manage their maps, calendars, and daily plans, which led to inefficiency and, ultimately, lost sales. But in that particular year, Benson noted the confluence of computer-based mapping and calendars with internet connectivity on mobile devices and saw an opportunity to help. Badger was born, with the goal of combining a map, a routing algorithm, a calendar, and a salesperson’s customer data, and making it all available on a mobile device in real time. What started as a two-person company in a shared office space has grown significantly during the ensuing six years. In addition to employing remote workers, San Francisco-based Badger now has offices in Salt Lake City and in Spain. The company also has a culture that focuses on communication, collaboration, training and team-building, with a goal of making sure all employees feel welcomed and appreciated. As a result, the company is now positioned to not only help sales reps do their jobs better, but also to help its own employees flourish as it grows into the future. In this Q&A, Benson, the founder and CEO of Badger Maps, talks about culture, gender balance, flexibility, and other characteristics of the company that have helped it become a rising star. 1MFWF: What are some of the key components of Badger’s corporate culture? How has this influenced the company’s growth and progress? Badger Maps: Badger Maps has a very unique culture and philosophy, as it is split in two parts. Half of our company’s purpose is to be a software company that creates a great product making field sales people’s lives better. The other half of the company’s purpose is to be an educational organization that trains and develops our team and helps each individual on the team reach their full career potential. I spend my time split between these two roles—sometimes I’m the leader of a software company, and sometimes I’m the principal of a career training school. By investing heavily in our team, it makes us a better software company, because it makes people better at their jobs and gets them ready for the next job they’ll be doing for us. This mindset is not something that I’ve seen other companies take, but this unique way of looking at our company is working very well for us, and has helped us build a great team. 1MFWF: What kinds of flexible work options does Badger offer its employees? How has that changed over time, and what do you see as the future of flex for the company? Badger Maps: We’ve recently implemented a policy where Badger employees can work half time for half pay or remotely after they have a child. We already had the standard (in Silicon Valley) six weeks off paid, and then an option to take another three months off after that unpaid. But we felt like some people at our company would need more and ongoing flexibility. So they can do the 50/50 plan on an ongoing basis, renewable every three months to make sure it’s still working for everybody. I believe that offering these types of flexible work arrangements is not only important for the employees, but also benefits the company in that it will retain its best employees as they go through different phases in their lives. 1MFWF: Your team has an unusual and commendable gender balance for a Silicon Valley start-up. What role do you think flexibility has played in shaping that? Badger Maps: Considering all Badger offices combined, we currently have 27 men and 29 women on our team, including interns. We’re very balanced across our different divisions, as well. Fifty-eight percent of our marketing, sales, and customer-facing teams are women, and in the engineering team, we have four women out of 11 employees. Our team was diverse and gender balanced before we brought our flex policies, but I believe that our flex policies will make it easier to build on that success and be a company that embraces diverse perspectives as we grow. I think that our balance was the result of creating a different kind of culture at the company that was more supportive and team-oriented than a lot of Silicon Valley cultures. I hope and believe that we’re creating the kind of company with an environment where all types of people can thrive—which is far easier said than done. 1MFWF: The salespeople who use your product spend much of their time away from their offices. How does Badger’s philosophy support this kind of remote/mobile worker? Badger Maps: Badger’s philosophy and belief is that technology can enable outside sales people to be more effective and successful. We build a product for their phones to support them when they’re on the go and achieve that goal. A lot of our time is spent thinking about what we can build to solve the problems that these types of remote salespeople have. 1MFWF: While it is relatively small now, Badger is poised for growth. What are you doing to position the company for continued expansion in the years to come? How will flexibility help it achieve those goals? Badger Maps: I believe that we can make even more salespeople successful, do busy work for them automatically, and make their lives better. There are a lot of field salespeople in the world, and we plan on continuing to solve more and more of their problems and challenges, to make their jobs easier and make them more successful. Badger is growing fast, so I spend more than half of my time hiring and training people. We’re looking to continue to serve our customers, and treat our employees well, to solve real problems that field salespeople have every day. My goal is to build a business that enables the people who work for it to grow and have a satisfying and happy work experience, and that it helps make its customers’ lives better in a meaningful way. As the company grows, I feel a greater and greater amount of responsibility to my employees. It’s so important that I work as hard as I can to keep the business successful, and every time one of my employees has a child, or another life event, I’m reminded of that time and time again. Being thoughtful about putting the types of flexibility policies in place will help ensure that Badger has a long and meaningful relationship with its employees.